Danish publisher World Pictures recently celebrated its 40th anniversary with a special issue of their excellent magazine Design from Scandinavia and they have generously made the entire issue available as a PDF. Design from Scandinavia has always aimed to spread the word about the best new developments in Scandinavian design. This time, however, we also look back to some of the trendsetting designers and manufacturers who did their share to elevate Scandinavian design to a position of renown outside Scandinavia as well. We also present some examples of the hottest trends on the Nordic design scene where many promising designers are displaying their talents, wriggling free from the functionalist ideals and challenging convention to blaze new trails. The 162-page publication’s text is in English, German, French, and Danish. The mag is shipped anywhere in the world for €23 or $28. A fair price given the wealth of content, a valuable overview of seminal mid-century designs. I’ve created a special online preview of the magazine. Click here to launch the viewer for a large or full-screen view of each spread. 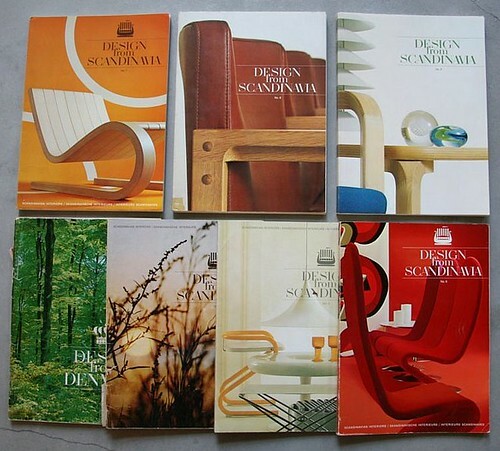 Last year, Oliver Tomas posted some history of Design from Scandinavia along with some beautiful scans of early issues. Tomas reports that Design from Scandinavia was the brainchild of publisher Kirsten Bjerregaard. Her ambition was to do a “design exhibition in the form of a book”, and her idea was realized in 1967 when Design from Denmark came out and was distributed worldwide in 50,000 copies. The next year Design from Denmark became Design from Scandinavia and a voyage of communicating about quality design from the five Nordic countries had begun. Great post. The KinderZeat is my favorite high chair and I would recommend it to customers because it was adjustable and grew with the child. It also comes in great colors to compliment the decor of a household. Thanks, Theresa. Peter Opsvik, the designer of the KinderZeat (AKA Tripp Trapp) was also the creator of one of my favorite chairs.